Van Heyneker Fine Woodworking is a business owned and operated by Josie and Van Heyneker. Both Josie and Van started out as classical musicians and have spent considerable time overseas. Eventually, though, they turned their talents to the art of woodworking, and for more than 30 years have been developing a loyal following of discriminating clients. 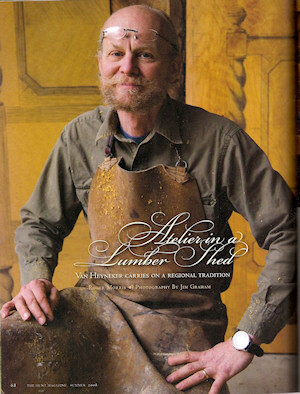 They produce commission based, one-of-a-kind pieces in their Mendenhall shop, ranging from classical and contemporary furniture to paneled offices and libraries, general cabinetry, and many other unique woodworking projects. 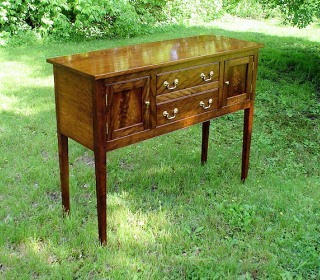 They are also proficient in antique furniture restoration that involves carving, lathe work, veneer, inlay, and finishes. In addition to their work for homeowners, builders, and architects, the Heynekers have done work for many of the regional museums and historical societies. Josie and Van invite you to contact them or drop by the shop to discuss any project you may have in mind. You’ll be able to see whatever they are working on at the time. There is also a small retail hardwood lumber business located next to the shop, providing you with a choice of mahogany, domestic hardwoods such as black walnut, cherry, maple, red or white oak, or other wood for your project. On the following pages are photographs and scans of photographs of only a few of the many jobs completed over the years. We are often called on to design and create custom woodworking projects such as specialized doors and windows, custom backsplashes, and other truly unique pieces. Fine custom made tables, chairs, desks, beds, or chests, whether traditional or contemporary in design, can add beauty, practicality and prestige to any home. 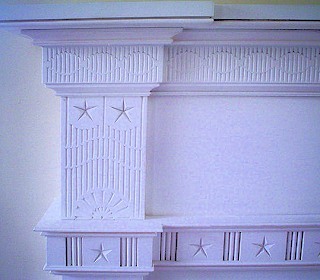 Years of expert craftsmanship show in our custom crafted cabinetry. 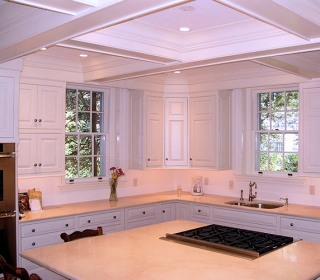 We specialize in designing and creating custom cabinetry for kitchens, bathrooms or offices. Have a question? A project we can help you with? We are located on Route 52 (Kennett Pike) just 1 mile south of US Route 1 between Chadds Ford and Kennett Square.